Sit. DOWN. No seriously...you may need to LIE DOWN for this. Paullina announced today that the Bronze Horseman FILM is going into pre-production by the end of the year!!!! Apparently ITA Productions is using her script (THANK GOD) and she now has the tedious task of revising it so it will fit into the production company's desired timeframe. That means cutting scenes, y'all. But don't be scared. 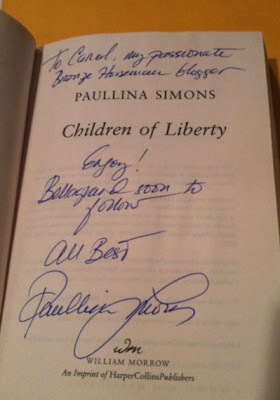 PAULLINA is doing it...so you know it will get done with conviction by the person who knows the story and characters best. Bottom line...none of this is going to be easy for Paullina. Unbelievably rewarding, yes. But easy? No way. So let's all remember to be KIND to her from here on out regarding casting...and what scenes end up on the cutting room floor. That said, let's discuss, discuss, discuss! CHILDREN OF LIBERTY is Here! Guess what came today?!? 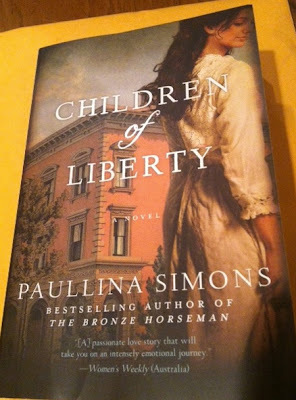 The copy of Children of Liberty I won in Paullina's contest!!! I am beyond thrilled!! 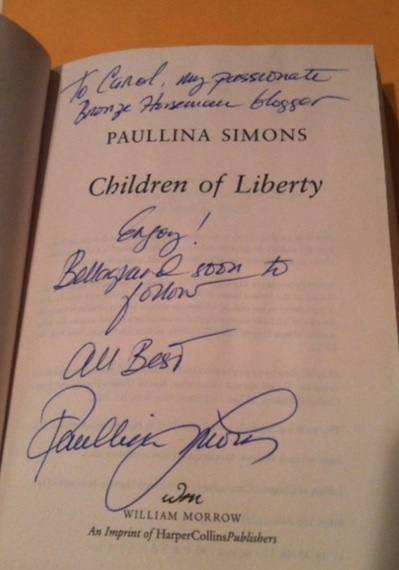 My heartfelt THANKS goes out to Paullina Simons for being awesome, as usual, and sending me this book. I can't WAIT to read it! Hildy, et al - when do we start? !